The Van Gogh Swiss Watches® collection is a sophisticated range of fine Swiss quality timepieces developed by Acestar, showcasing cutting-edge design with heritage technology. 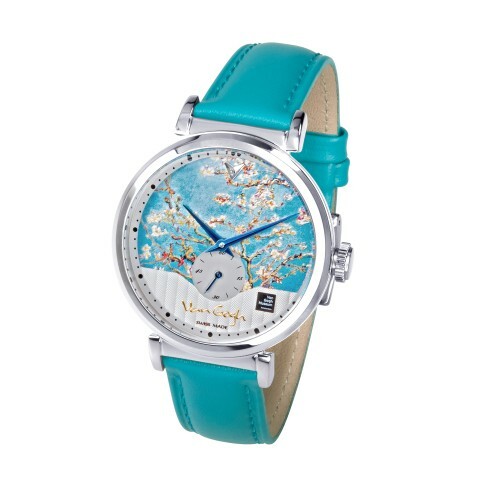 This exquisite watch with a detailed image of Van Gogh's masterpiece Almond Blossom is an absolute statement piece. Made from high quality stainless steel, a Swiss-made Ronda movement and a Côtes de Genève 3D dial with a genuine diamond on 12-hour position. Engraved with trademark of the Van Gogh Museum on backside.